The AEP has been looking for a bee keeper for a long time. 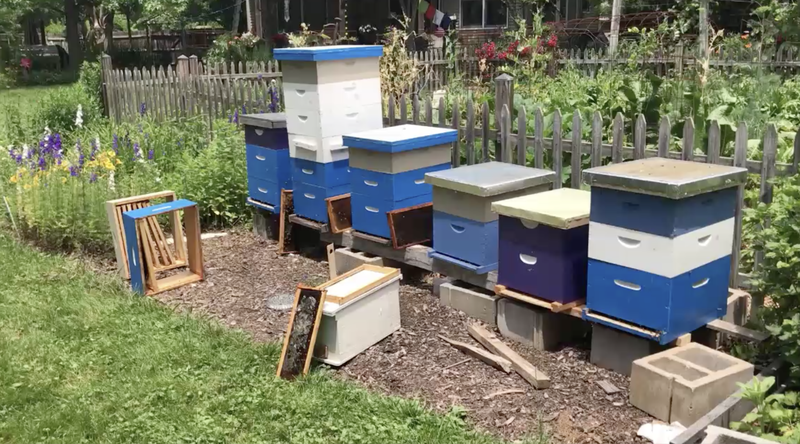 We found one in the person of Dr. Christoph Ohnegemach, a Pediatrician in New Brunswick, N.J., who happens to have a magnificent back yard complete with a pond for frogs, a run for chickens, a couple of solar panels, and 6 bee hives. See the latest tech for bee keeping here. Previous Project entry # 9: Working the farmer’s market!